Plot 4 Dukes Park is currently under construction , and they are making good progress, plot 4 is a detached spacious 4 bedroom house with a large bright open plan fully fitted kitchen and dining area, with 2 sets of bifoldikng doors which opens up almost all of the back of the house onto the garden. 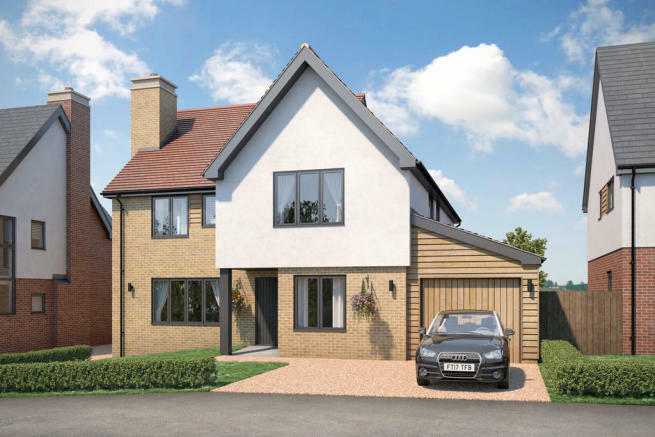 All of thehouses on Dukes Park are being built and finished to the highest specification, please see the specification schedule. Disclaimer - Property reference 100294002856. The information displayed about this property comprises a property advertisement. Rightmove.co.uk makes no warranty as to the accuracy or completeness of the advertisement or any linked or associated information, and Rightmove has no control over the content. This property advertisement does not constitute property particulars. The information is provided and maintained by Frost and Partners, Hadleigh. Please contact the selling agent or developer directly to obtain any information which may be available under the terms of The Energy Performance of Buildings (Certificates and Inspections) (England and Wales) Regulations 2007 or the Home Report if in relation to a residential property in Scotland.